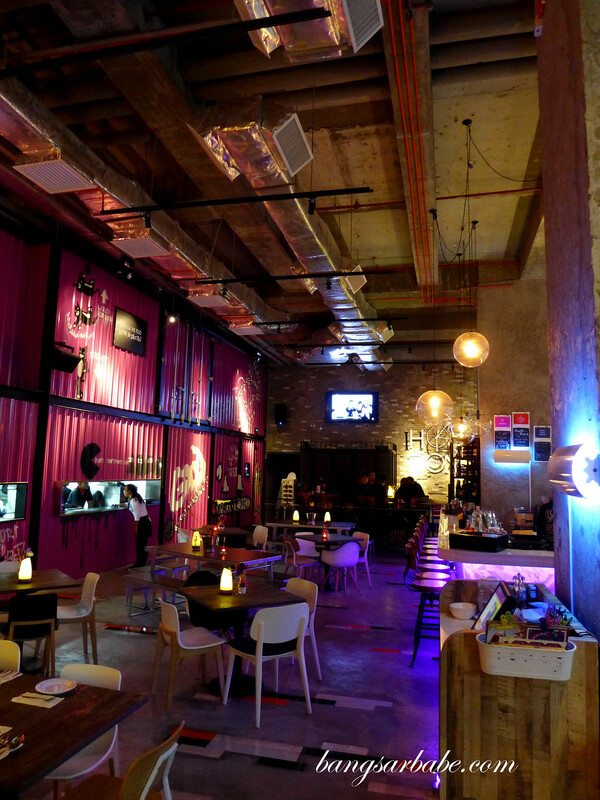 Hubba Hubba at Ceylon is the latest addition to the Soul Society family – a hip outlet that makes it a perfect hangout joint for those looking for a night out in town. 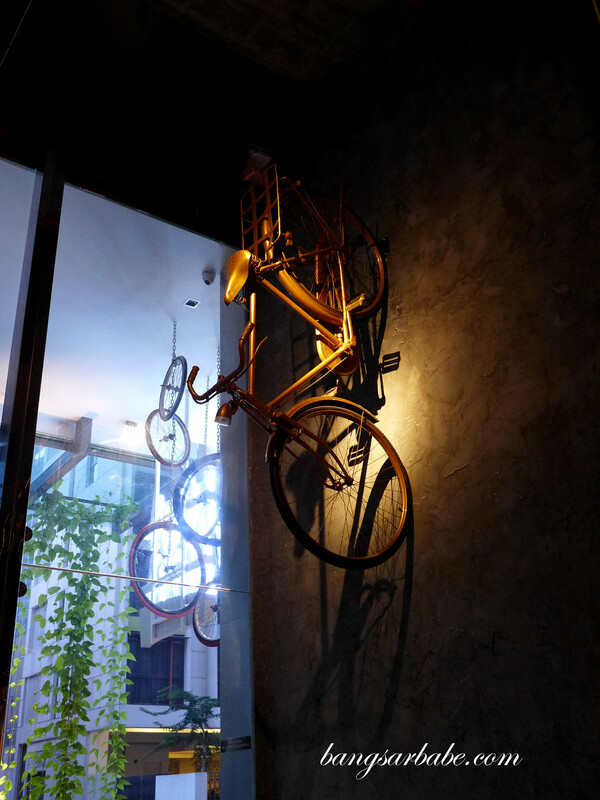 I like Hubba Hubba as it’s not smack in the middle of Changkat’s (sometimes rowdy) crowd, but tucked away on the ground floor of Invito Hotel Suites. 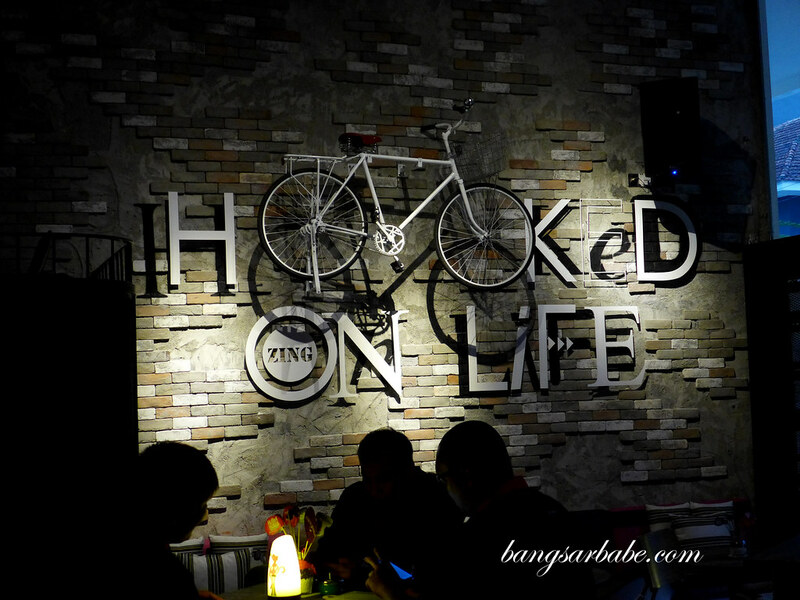 Quirky quotes and bicycle installations on cement walls are a feature, teamed with funky lights that liven up the atmosphere. 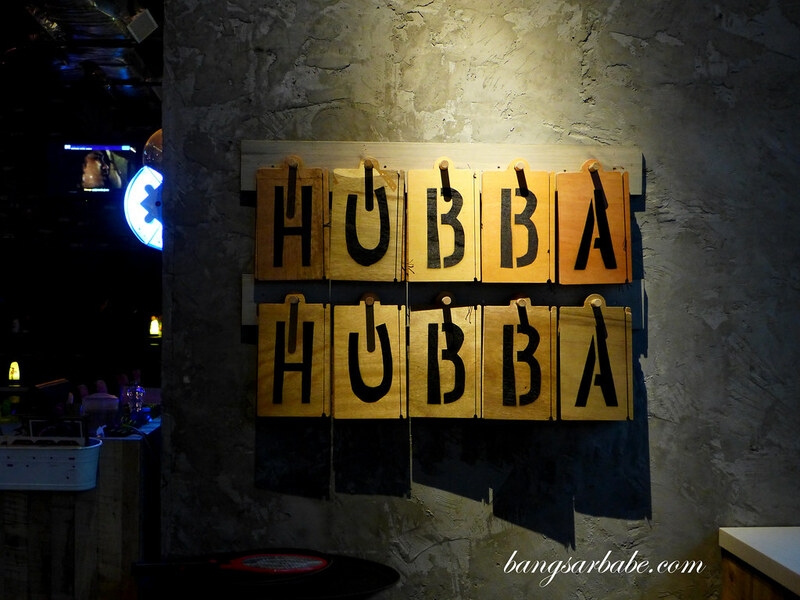 Hubba Hubba’s menu – both food and drinks – boast creative names to complement the décor. 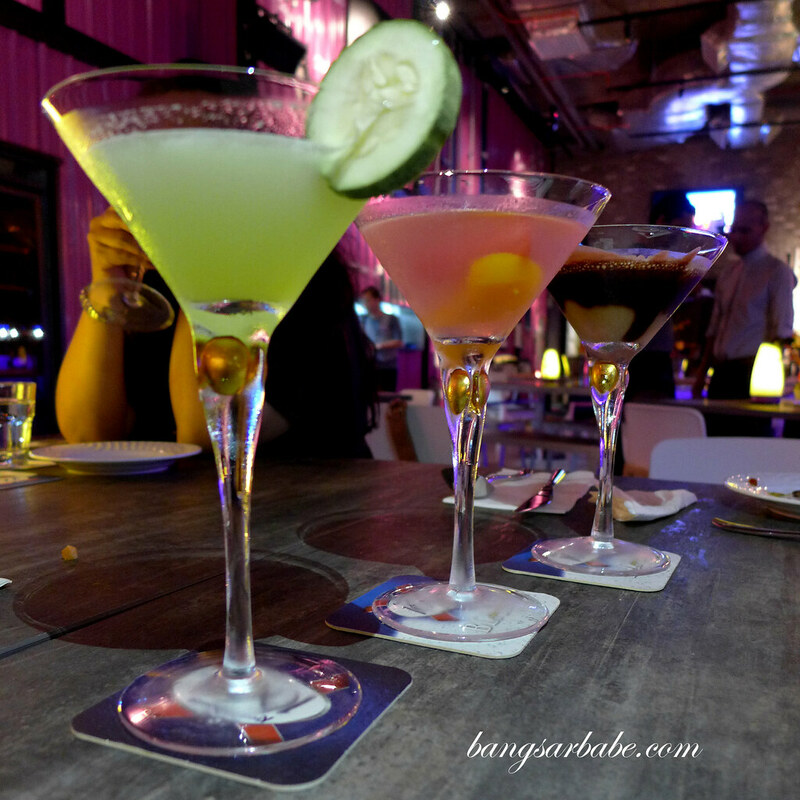 Start off with a round of house specials – martini. 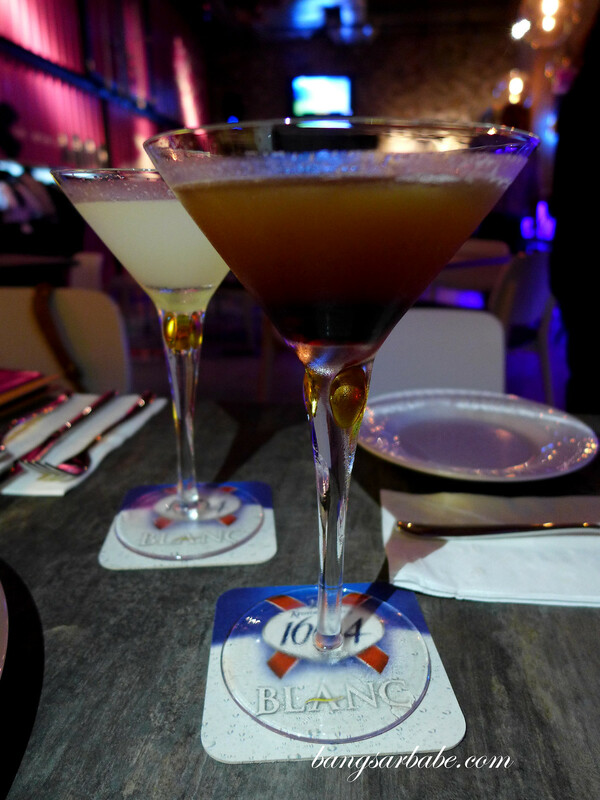 They offer a good selection of martinis, from sweet citrus to rich chocolate-y ones. My favourite is the Mudslide, a potent mix of vodka, Irish cream liquor and crème de cacao. 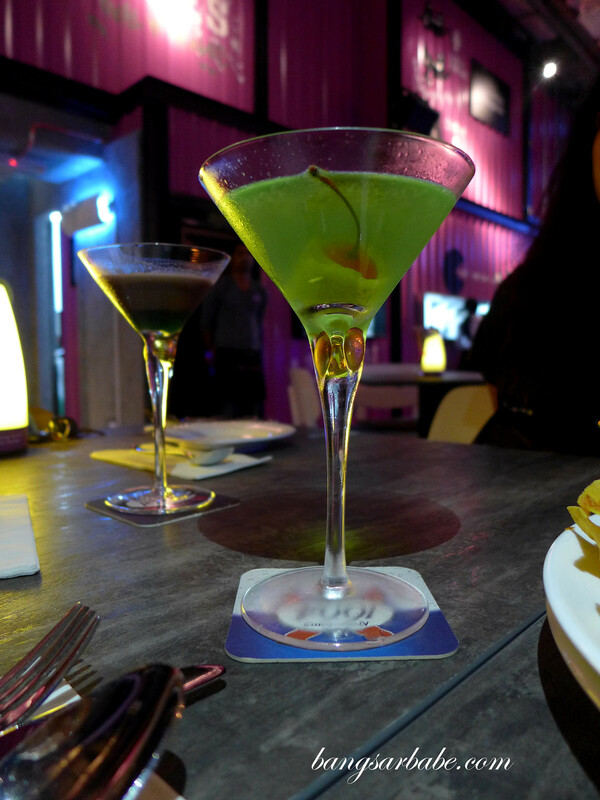 Also good are the Cucumber and Gingertini – both basic cocktails yet packs a wallop. So if you’re planning to try as many martinis possible, don’t forget to load up on some items to munch. The Nachos (RM25) is good to be shared among 3 to 4 pax, topped with the usual sour cream, guacamole, salsa and cheese. 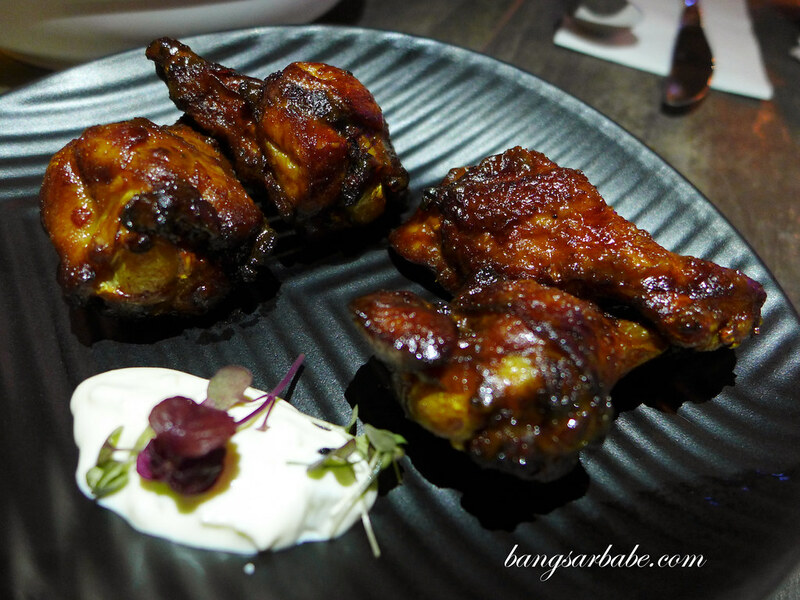 Buffalo wings (RM16) is given a kick with a blue cheese dip and goes very well with your tipple. 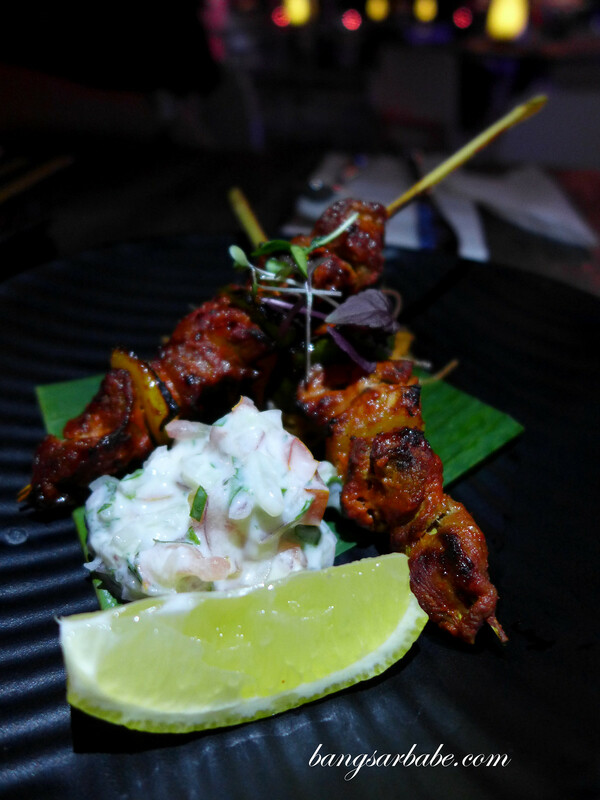 Alternatively, try Hubba Hubba’s assortment of Robata – skewered items slow-grilled over hot charcoal. 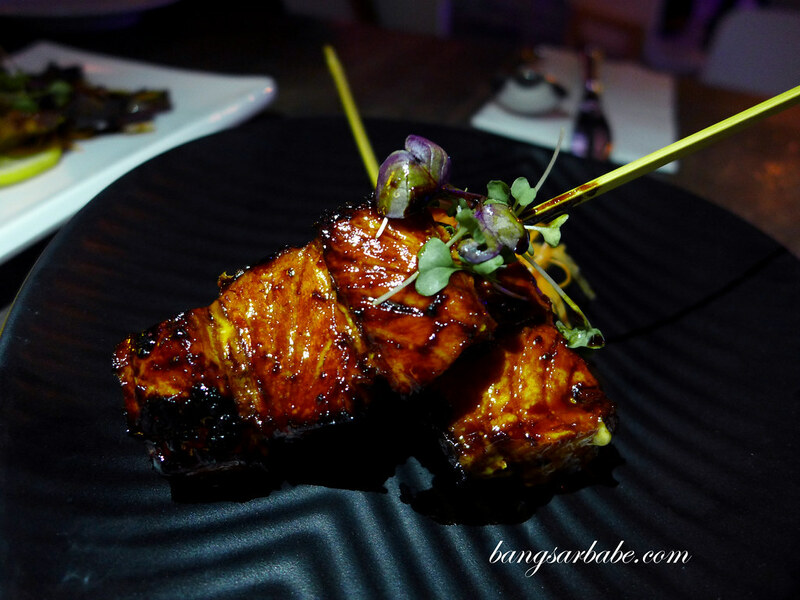 There’s salmon teriyaki, sea bass lime bakar, eringi mushroom jerk, teriyaki chicken and prawn sambal. Some have too much glaze, like the salmon and mushroom. Less is more, I feel. 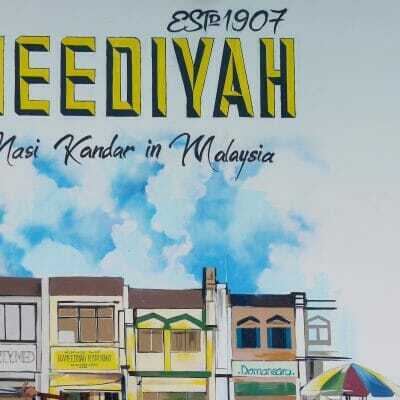 Each portion is priced between RM7 to RM18. 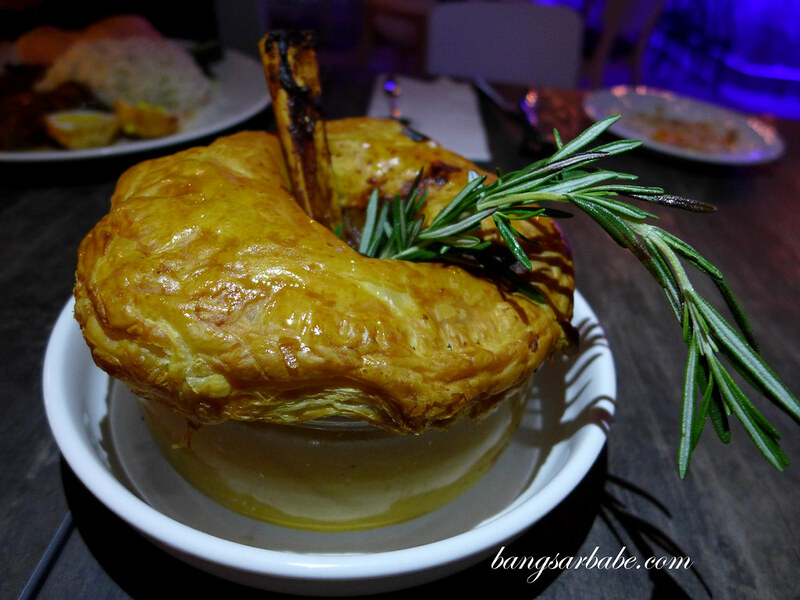 Hubba Hubba’s lamb shank pie (RM36) is pretty good stuff. Tender lamb chunks braised in red wine gravy, carrots and rosemary, and finished with a buttery-flaky pie crust. 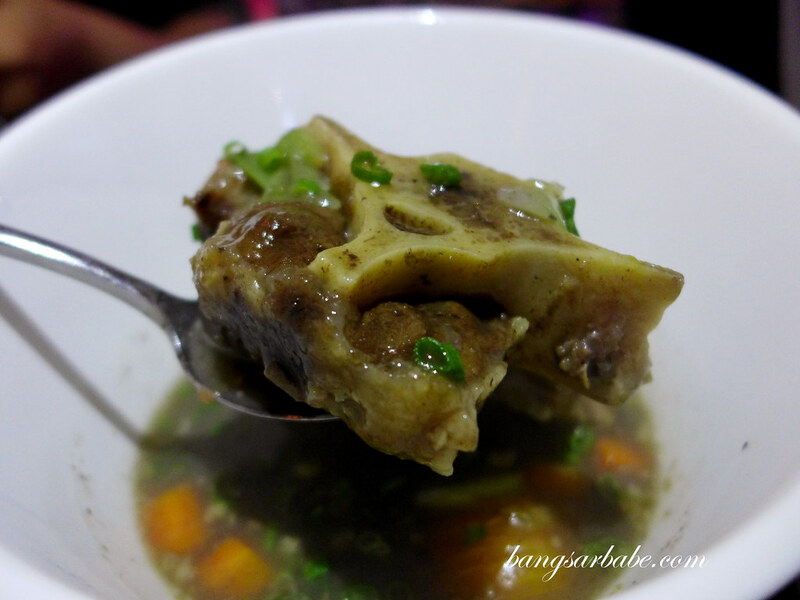 I love how they leave the bone in – definitely makes the dish more visually appealing. 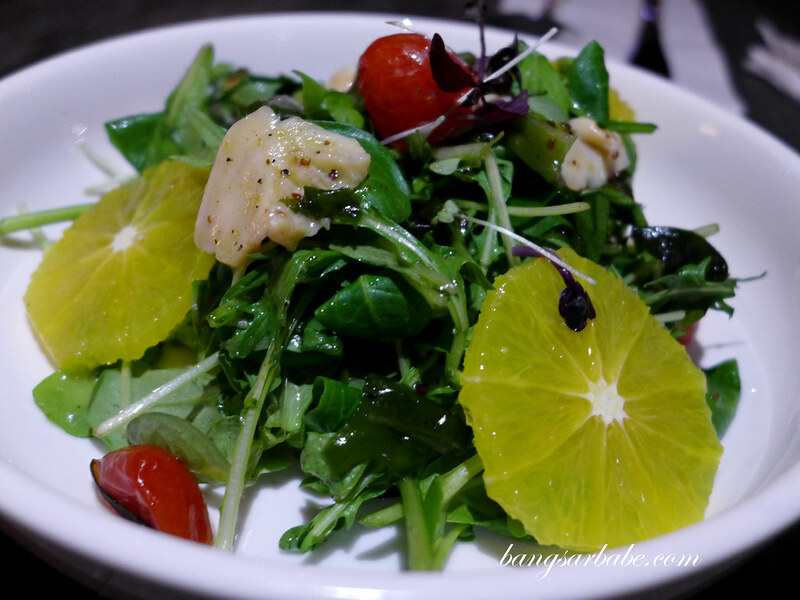 Abriosa Salad (RM21) features pacific clam, seaweed, orange and mixed leaves in citrus miso dressing. 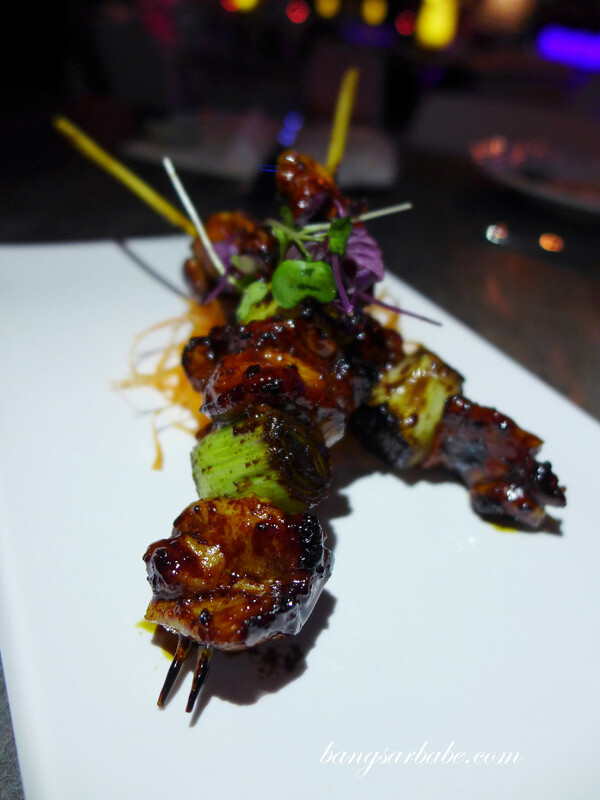 Easy to eat and relatively healthy, I would say. 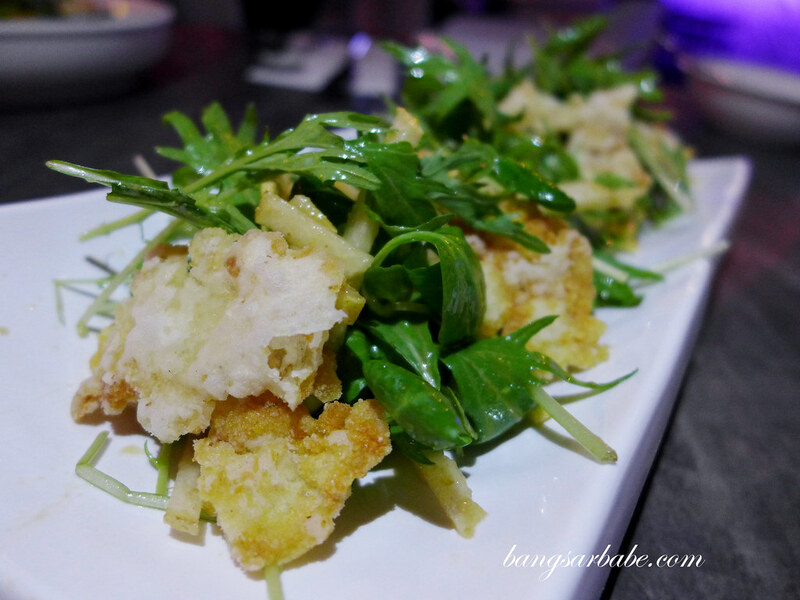 But I like the Salmon Salad (RM18) better as it boasts a stronger flavour with cured salmon, pear and sharpness from the arugula, dressed in prawn miso. I would have preferred the soup ekor to be darker and more robustly flavoured, but those with lighter palate would find this enjoyable. 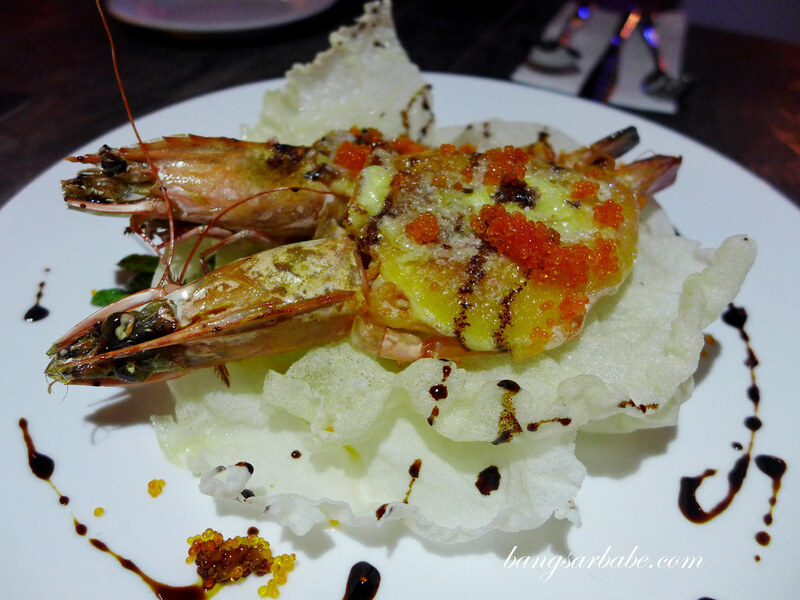 Karuma Prawn (RM39) is a sumptuous dish of baked prawns with aioli on a bed of wafer thin prawn crackers. 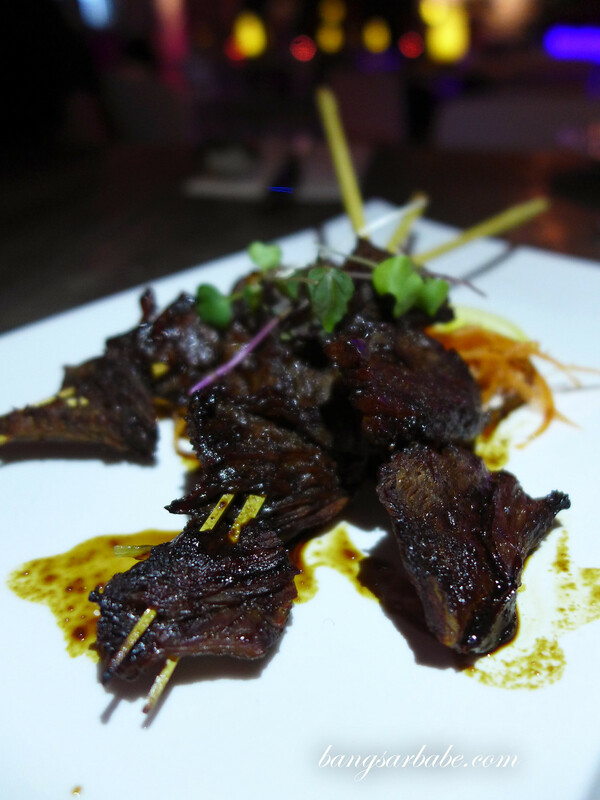 It comes topped with additional roe, which brings the flavour to a whole new level. 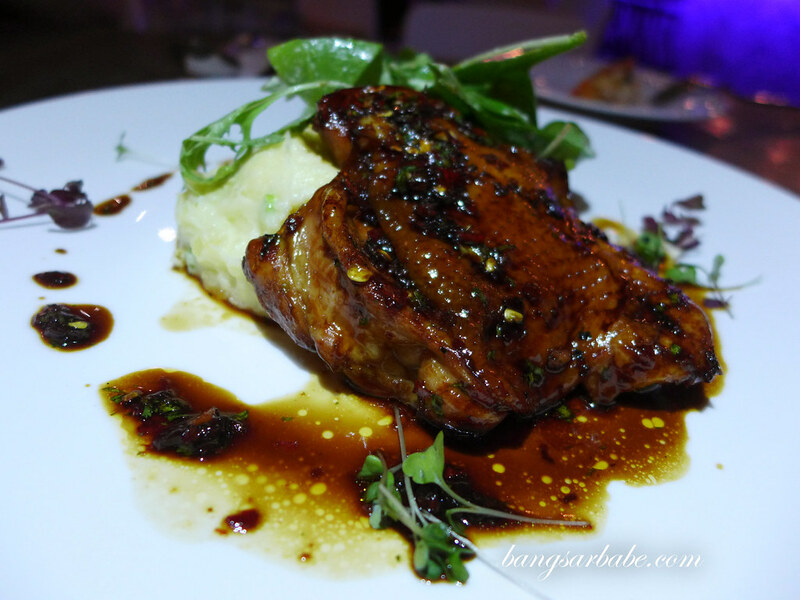 The Jerk Out Chicken (RM26) boasts caramelised edges from the combination of teriyaki sauce and spices. Goof flavour, but parts of the chicken came out drier than intended. 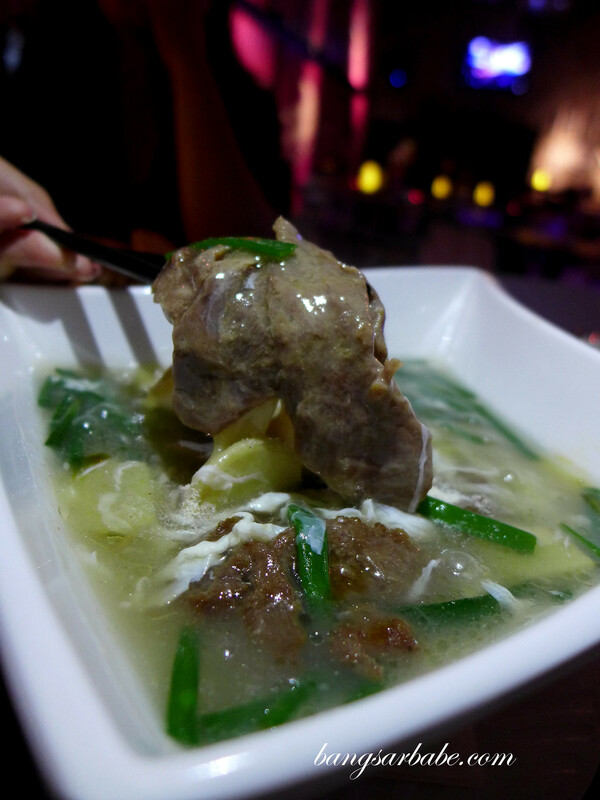 Hubba Hubba’s beef rice noodles (RM23) is a good carb option of flat rice noodles in eggy gravy with tender slices of beef and plenty of ginger and spring onion. 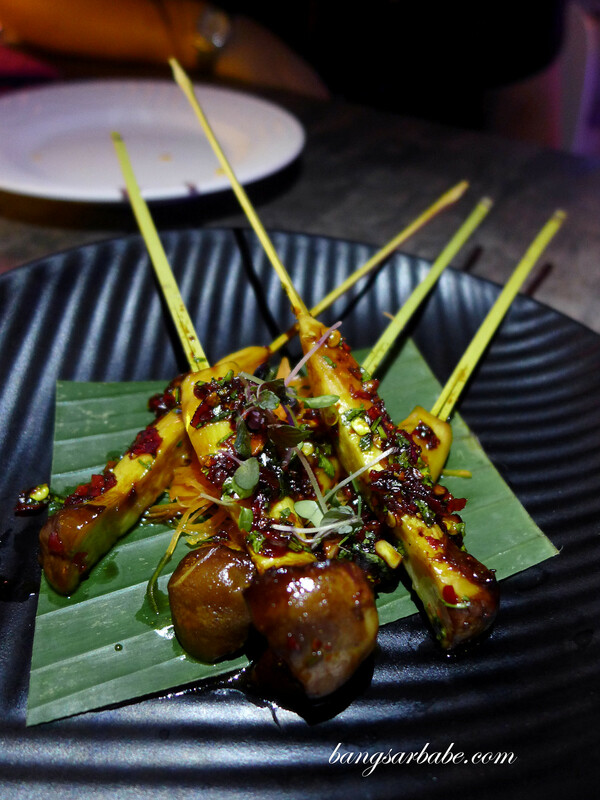 A bit of cili padi and soy sauce, and this dish is ready to roll! 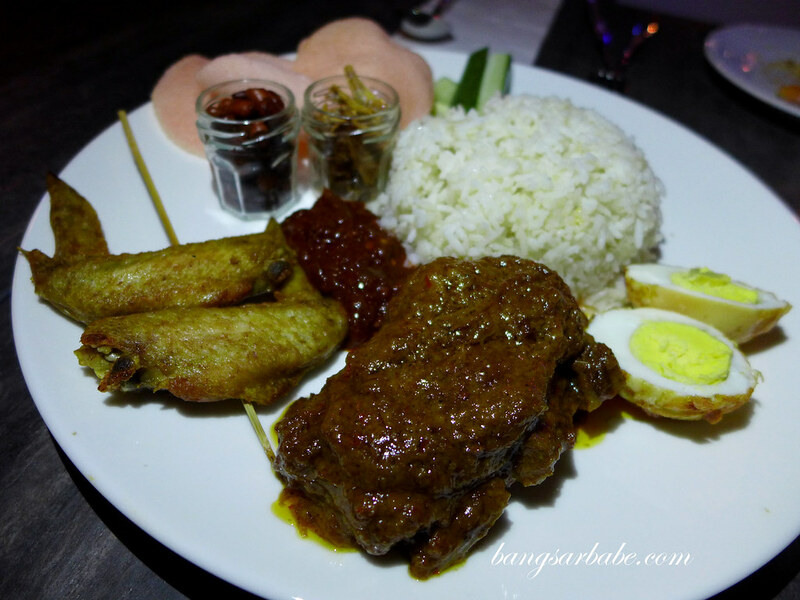 Karubi Rendang Coconut Rice (RM56) is essentially Hubba Hubba’s version of nasi lemak, served with a delicious wagyu rendang and fried chicken wings for a sinful experience. 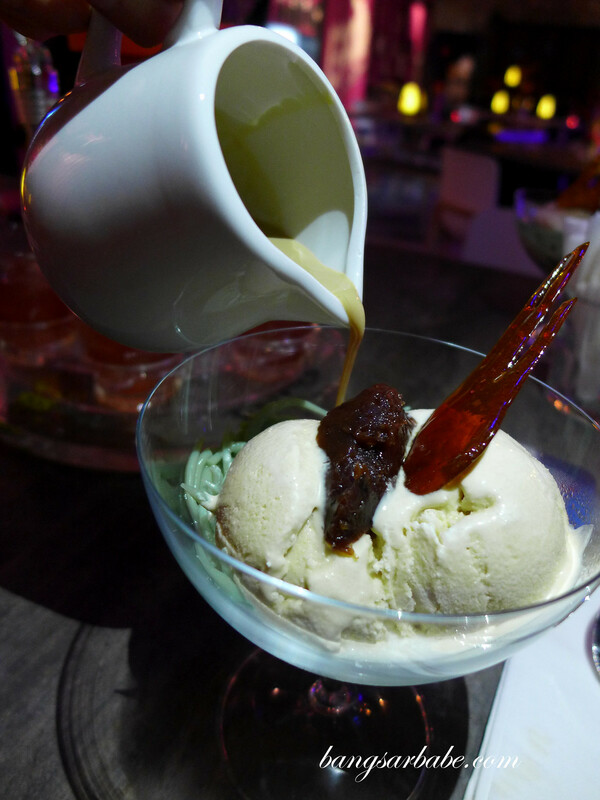 Then you have the Bailey’s Cendol, a creamy concoction of shaved ice with red bean, coconut cream, palm sugar and Irish cream liqueur. 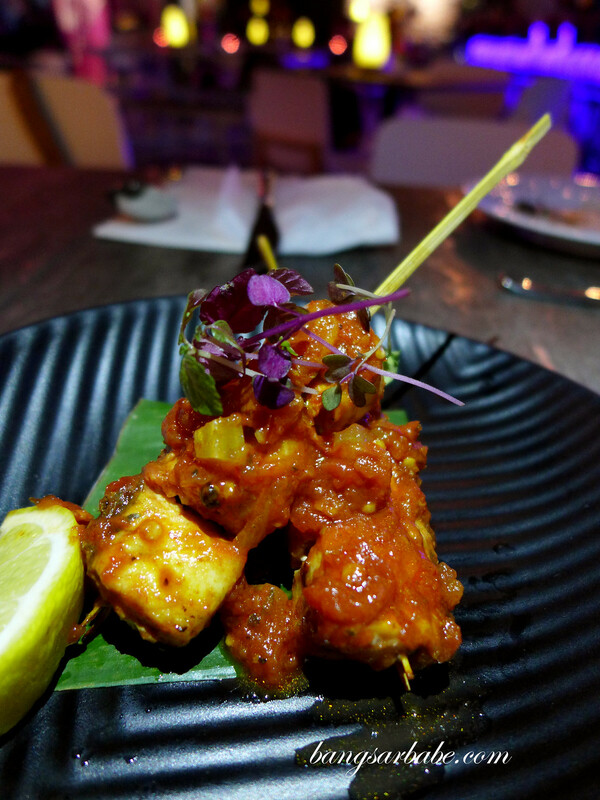 It is currently a crowd favourite, but I personally prefer it with rum. Not too rich, I feel. 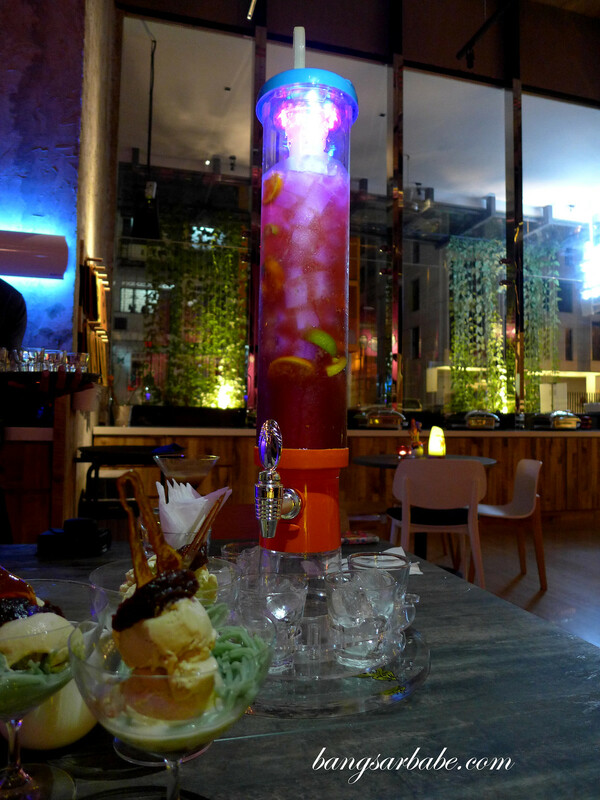 We finish strong with Son of a Beach (RM140), a massive cocktail tower of colours – there’s tequila, gin, vodka, rum, triple sec, dark coffee liqueur, cranberry juice, lime wedges, lemon and orange. All the (good) stuff that gets you there within a few drinks.